Economical 3 bedroom, 1 bath! Currently rented. Could also make excellent owner occupied dwelling. Great price!!! Don't let this one get away. Corner lot location. Well-Maintained, Economic Home.An enclosed back and front porch give this dwelling additional functional space of 325 square feet providing 925 total sf of above grade usable space and approximately 600 sf of additional basement area. The back porch is very functional and could be used for a family room or second bedroom. Beautiful original wood floors are also a highlight of this home. The yard has good chain link fencing surrounding the rear yard providing a nice outdoor space for the homeowner. 2017 Real Estate Taxes due in 2018 are $939 without exemptions. Real Estate Taxes with an owner occupied exemption is approximately $390 according to Treasurer's office. Two bedroom, 1 bathroom bungalow home. Gas fwa/ CA cooling. Two car detached garage. Income Producing. Tenant Occupied. Near park, schools, and pizza burgers! Affordable single family home!!!! Please confirm all data prior to purchase. Data provided is from public records. Two lots in town with a 2 car insulated garage. The garage has electric and a nice concrete floor. The two lots make up a total of 0.44 acres. This location would make the perfect place for your new home or business. 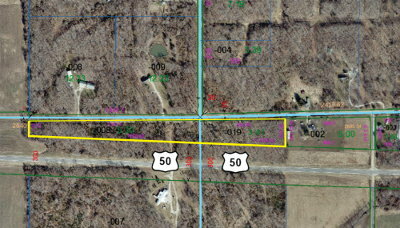 NW Corner of Hwy 1 & Orchard St.
East 1/2 of Lot 44 and South 60' of Lots 45 & 46 in Griswold Addition to the city of Lawrenceville, IL. 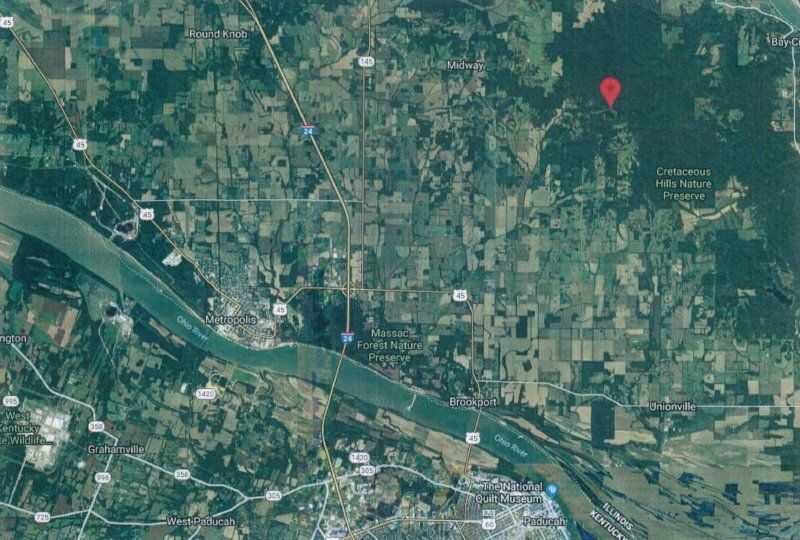 Vacant Lot for sale with view of Mann Lake on Mann Lake Road within Shawnee National Forest & only 10 miles from Metropolis and 10 miles from Paducah. Located approximately 7 miles from Interstate 24. Mann Lake also borders Cretaceous Hills Nature Preserve. Mann Lake is a quiet, private lake known for fishing and relaxation. Mann Lake is known for bass, catfish, crappie, and walleye fishing. Several beautiful homes surround the lake. Enjoy the splendor of Mann Lake with its surrounding mature woods, natural terrain, peacefulness, wildlife, and fishing. This lot will provide you with a great getaway or location for a future permanent residence! 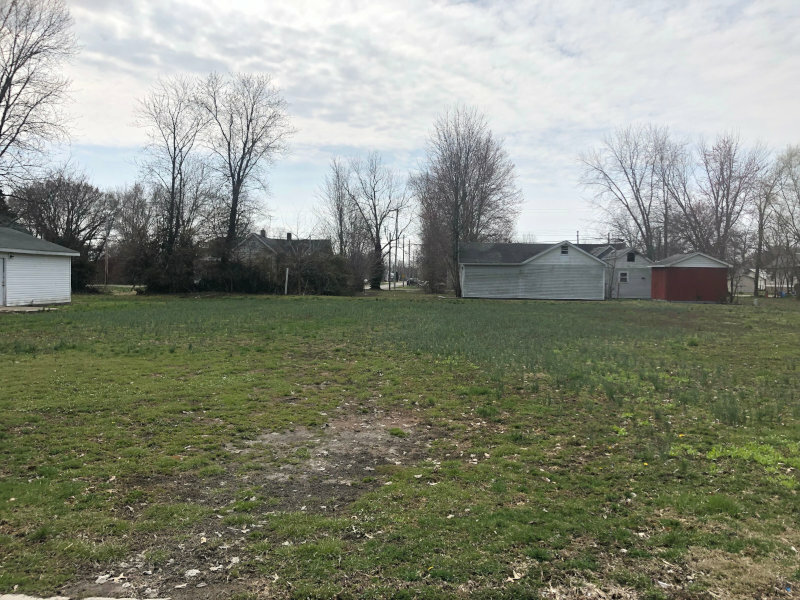 Adjoining vacant lots in Sumner, IL.